Mukwonago Baptist Church is a Bible-believing, fundamental, independent Baptist Church where you and your family can learn practical Bible truths in an atmosphere that is welcoming, friendly, and warm but also serious, reverent, and worshipful. Mukwonago Baptist takes seriously its obligation to disciple all age groups. In Sunday School, everyone—from infants to high school students to adults—learns the Bible. Young people learn what it means to walk with the Lord, and parents receive continuous help and teaching that is so desperately needed to rear families in these trying and changing times. 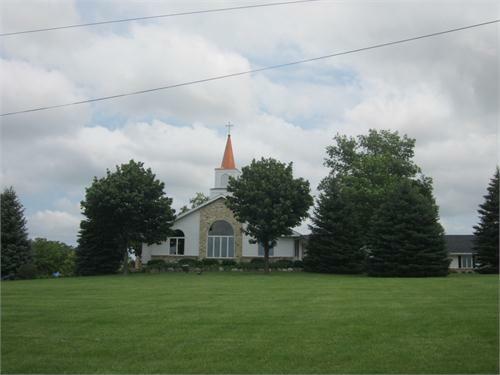 Mukwonago Baptist Church is an independent Baptist church in Mukwonago, Wisconsin. The pastor is Rhon Roberts. Wonderful church that preaches the Bible! What a wonderful church that stands on the foundation of the truths of the Bible, and isn’t ashamed of it! The people are genuine and love the Lord and love lost souls. The KJV is used, and the music is God honoring. Churches like this are hard to find! A great church that preaches the Bible! Don’t be fooled by their welcoming arms. These people seem ever so sweet at first until their true colors show. Then this place is perfect for you as that is all the pastor seems fixated on. Then this place is perfect for you as that is the pastor’s second fixation. Oh and let me add Disney movies are bringing the Devil into your home. Hollywood is ruining America. This is a topic you here an almost a weekly basis. Instead of letting you decide what you will watch in your own home they question and pry into your own personal life constantly. Even Frozen is trying to turn your kid gay. Be prepared for 3 hour long rambling sermons either about child discipline,tithing,or women’s dress. I could go on but let’s end it here. 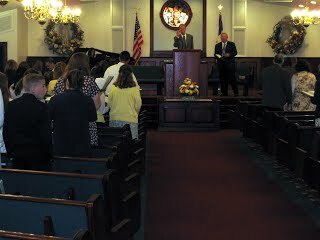 A wonderful church with a wonderful Pastor who preaches right from the Bible. A Pastor and church that stand firm in the Word of God! A wonderful church doing everything we can to reach our community that is going to Hell because of sin. We do use the KJV for clarification.